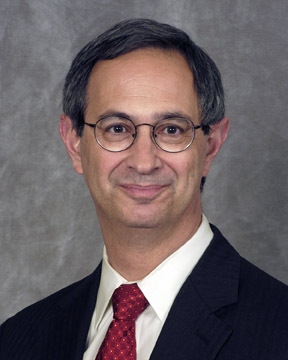 President of the University of Rochester, 2005-. Quaerere et Invenire was written in the summer of 2005 on a commission from the Hanson Institute for American Music to celebrate the inauguration of Joel Seligman as Tenth President of the University of Rochester. The commission called for a piece of about ten minutes in duration for piano and about ten wind instruments. The work posed some interesting compositional problems. First, how could I compose a piece that would suggest the pomp and circumstance of an academic celebration? Much has changed in concert music since the time of Elgar, Verdi, and Wagner, the composers whose marches are traditionally used in academic ceremonies. Second, the terms of the commission suggested a piece of greater scope than a march or a fanfare. So, how could I mold the dramatic possibilities of a piece for piano and what amounts to a small orchestra without strings--a concerto--to the occasion? It seemed at first I would have to deviate significantly from my ordinary compositional practice to address the two issues. The solution occurred to me when I realized that, unlike composers of the past, today's composers are often members of an academic community; and, in my case at the Eastman School, I participate in a dual role, as composer and scholar. Moreover, having been a member or chair of many search committees for new faculty members and administrators, I could easily imagine the process and experience of those who had sat on the committee charged with selecting a new University President. In such committees, there is real drama--intrigue, excitement, surprise, crisis, resolution--as the members do their work: calling for names, deciding on the candidates, interviewing them, selecting the best person for the job, and convincing him or her to take it. I designed my piece to reflect this process, to have a form that suggested many possibilities at the onset, then to examine each one, and end with resolution and success. The words "to seek and to find," immediately came to mind, and I asked a colleague to help me translate them into Latin, as befitting the occasion. The musical form of Quaerere et Invenire is in three parts. It begins with a short but lively introduction in which many textures and materials are briefly presented with flourishes in the piano. The middle part--the main part of the piece--goes through many phases, including an extended piano solo (serving as a kind of cadenza), a section for the higher instruments (which introduces the bells and xylophone, even though the piece is already half over), and a number of turbulent fanfares in the brass (ending the middle part). The last part recapitulates the opening, but it is now heard in the context of the middle part, which has elaborated its musical substance at some length. At its end, just as it seems the music is going to settle down on a D-major chord literally trumpeted in the brass, the music abruptly moves to a fully orchestrated chord on F. The piece ends on this chord, over which the timpani, piano, flutes, and brass articulate the notes of first line of the University's anthem, "The Genesee." This surprising conclusion is actually presaged by the first notes of the piece, which imply the tonality of f-minor and suggest something frequently borne out in committee work, that original ideas are often best. The middle part of the piece works on the material of the introduction, its textures and harmonies. There are three kinds of textures: canons, free counterpoint, and gestures, these usually composed of brief motives articulated over sustained tones. The three textures are found alternated over the nine sections of the middle part inspired by the progression of variations in Bach's "Goldberg Variations." The canons are always announced by the crack of a woodblock and are in six parts, building quickly from one to six voices and then subsiding back to one. The free counterpoint usually has a conversational tone and a thoughtful demeanor. The piano seems to direct the discussion. The gestures are written for concerted instruments and sometimes verge on little fanfares. These three textures represent, for me, some salient characteristics of people who teach and work in all types of academic settings: an interest in ritual and formal procedure (the canons), a capacity for care and thoughtfulness (the counterpoint), and enthusiastic engagement in political process (the gestures). The harmonies of the first, introductory part consist of only three types of six-note chords. No other harmonic material is introduced so these three chords pervade the entire work. All three chords are found in tonal music, either in jazz or classical concert music. However, they are used in fresh, unconventional ways. In sum, I present my piece both to celebrate the inauguration of Joel Seligman as President of the University and to appreciate the product and process of academic engagement in all of its manifestations, embedded as they are within the culture of cultures we call the world.